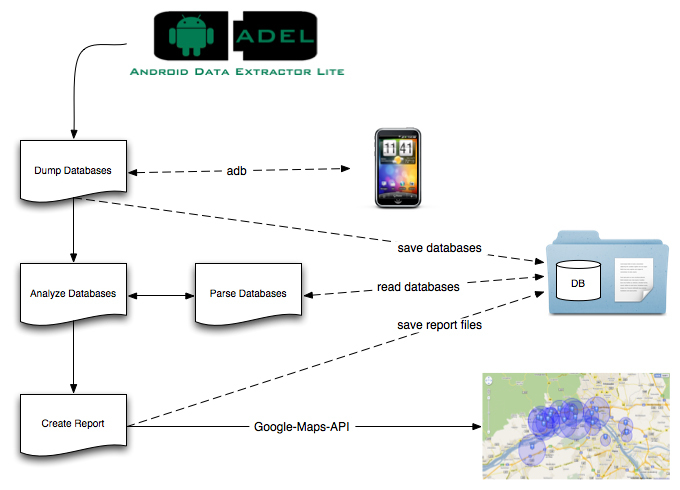 Android Data Extractor Lite is a forensic tool that has the ability to automatically dump selected SQLite database files from Android devices and extract the contents stored within the dumped files. It makes use of the Android Software Development Kit (Android SDK) and the adb deamon to dump database files to the investigator's machine. Telephone and SIM-card information (e. g. IMSI and serial number). Telephone book and call lists. 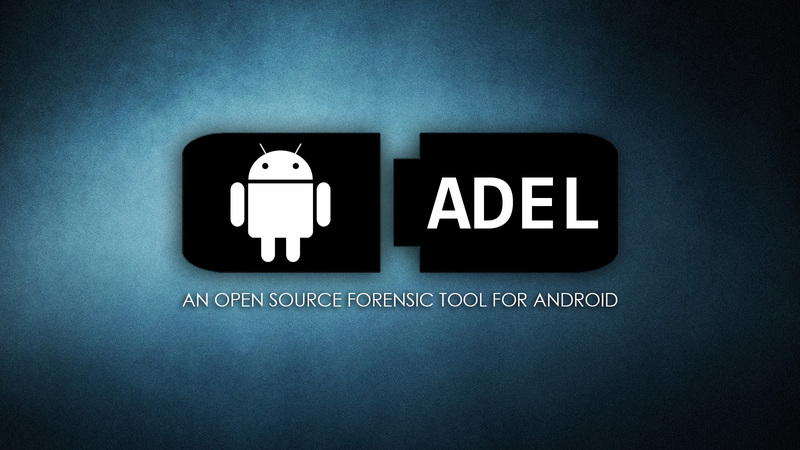 When you are using ADEL, the activities are not conducted directly on the phone but on a copy of the databases. This procedure assures that data does not become changed, neither by the users of ADEL nor by an uncompromised operating system. Also, the hash values are calculated prior and after each analysis, to guarantee that dumped data did not become changed during analysis. It's modular structure allows for dumping and analysing databases of smartphones without great effort and facilitates updates of the system in the future. Since the analysis of the mobile phones are conducted in an autonomous way, the user does not receive any notice of internal processes.